A large proportion of scaffold structures will require some form of design input to be compliant with regulations. The National Access and Scaffolding Federation (NASC) has produced guidance notes on Good Practice for Scaffolding with Tubes and Fittings. Known as TG20:13, these guidelines provide for four ‘Basic Scaffolds’ where no further design is required. This range of scaffolds covers many common applications and we will be able to advise whether your project falls within its scope. For more complex scaffolds, that fall outside of these guidelines, the services of a qualified scaffolding design engineer will be required. 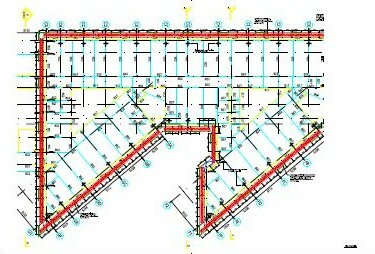 Narford Scaffolding recognises its responsibility towards design and calculation. We provide a full scaffold design and calculation service for complex structures as detailed in the HSE guidance publications for scaffolding. Read more about our Health and Safety policies or get in touch today to discuss your requirements.